Australian shores may have seen fleeting moments of action in the World War, but our involvement in the conflicts continues to leave a legacy. Brisbane-based company, Gap Explosive Ordnance Detection (GapEOD) is having a major impact on the clean-up operation in Australia and internationally, having developed world leading metal detection technology, Ultra-Tem 3. The organisation continues to find explosive ordnance in several weird and wonderful locations across the country. Even though Australia only saw contact with War in areas such as Darwin and Broome, the continent in fact has widespread contamination, reaching across various states and regional areas. This is where Dr Stephen Billings and his team at GAP step in. “We’ve had limited exposure to war, but we still have this issue of unexploded ordnance,” Dr Billings explained. “It is much more common in Europe, and the UK, but it is still very much an issue in Australia, simply from former military training,” he said. The impact of the military across the country is still felt today, particularly in the nation’s push towards the future and fresh energy sources. The establishment of Wind Farms in Australia is seeing new cases of unexploded ordnance detected, given the shared interest in locations between the military and new green energy sources. “There’s a push to go renewable, but unexploded ordnance is an issue people aren’t really thinking about,” Dr Billings said. “Both need large, vast areas. But military like to fire at things, so they look for hills and ridges, they like to bombard those types of areas and simulate live action. GAP EOD, who have completed various surveys of unexploded material across Europe, particularly in The Netherland and the UK, which has been battered by war. Finding UOX material will see a site shutdown, which can be an expensive exercise for construction companies. Some can lose as much as $50,000 per day, if a site must be shutdown. However, GAP’s technology allows for large scale surveys to be completed quickly and with accurate detection. 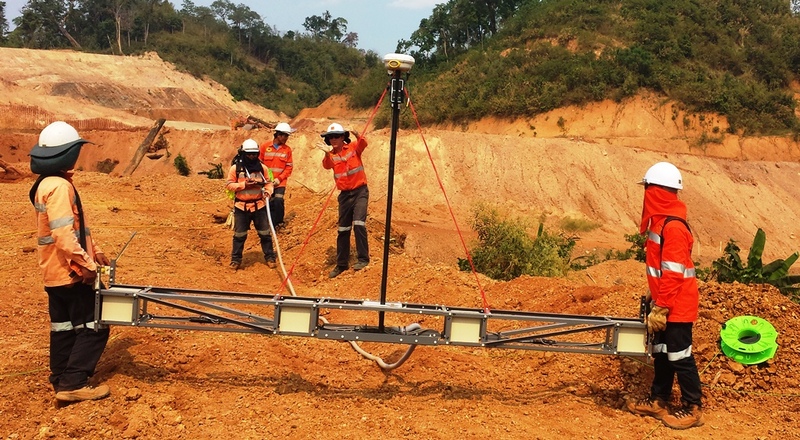 The “UltraTEM 3” system is capable of rapid acquisition from either hand-carried or vehicle towed arrays and can survey many hectares of contaminated land per day. “We often get calls of strange looking objects being found, that turn out to be unexploded ordnance,” Dr Billings said.